Dr. Ladslaus Mnyone holds a PhD in Medical Entomology from Wageningen University, the Netherlands. This dynamic and solution driven researcher has the passion for studying and controlling the world’s most important insect disease vectors, particularly mosquitoes. Over the years, he has persistently demonstrated his wish to bring up potential vector control technologies to reality ‘bridging the gap between discovery and implementation‘. He has championed the development of entomopathogenic fungi as greener control tools against mosquitoes and other important disease vectors. He is also involved in exploring the mosquito control potential of endectocides (e.g. Ivermectin) and other novel insecticides. 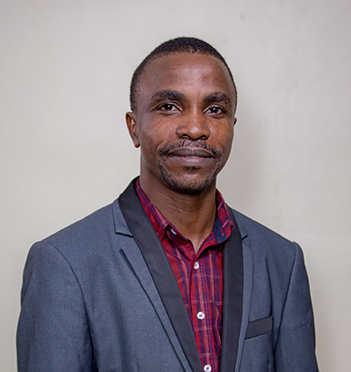 Even more inspiring, Dr. Mnyone was among the team of Tanzanian (in fact, the lead Tanzanian researcher) and foreign researchers, who recently developed a new generation mosquito control technology ‘Eave Tubes’. Among other merits, Eave tubes technology is easy to install, protect the whole family and kill even the mosquitoes that are resistant to conventional insecticide formulations. Subsequent to this exemplary endeavor, Dr. Mnyone became one among the first recipients of HDIF grants with his project titled ‘Eave tubes/bricks for elimination of malaria in peri-urban Tanzania’. Under the duration of this project (2015 – 2017), Mnyone et al. aim to i) install eave tubes/bricks in 2000 houses within peri-urban Morogoro and Dar es Salaam ii) measure impact and consumer acceptance, iii) establish a network of public and private stakeholders and iv) initiate activities towards local manufacturing of the technology. Undouptfully, Dr. Mnyone’s key ambition as a scientist will continue being ‘conducting high quality and solution oriented research’. Biology, ecology, behaviour and control of malaria vectors. Biological control of mosquito vectors based on the use of entomopathogenic fungi. Biology, ecology, and control of rodent-borne ectoparasites. 1. Fungus coated nets against mosquito-borne diseases (FCNet), funded by UBS (2011 to 2012), (€ 32,526) (Co-Principal Investigator). 2. A low –cost mosquito contamination device (MCD) for sustainable malaria mosquito control, funded by European Union (3 years project, 2012 – 2015) (€5,260,569) (Local Principal Investigator). Andriessen R, Snetselaar J, Suer Remco A, Osinga Anne J, Deschietere J,Lyimo Issa N, Mnyone Ladslaus L, Brooke Basil D, Ranson H, Knols Bart GJ, Farenhorst M: Electrostatic coating enhances bioavailability of insecticides and breaks pyrethroid resistance in mosquitoes: PNAS 2015, 112: 12081-12086. Mnyone Ladslaus L, Lyimo IN, Lwetoijera DW, Mpingwa MW, Nchimbi N, Hancock P, Russell TL, Kirby MJ, Takken W, Koenraadt CJM: Exploiting the behaviour of wild malaria vectors to achieve high infection with entomopathogenic fungus. Malaria Journal 2012, 11:87. Mnyone Ladslaus L, Koenraadt Constantianus JM, Lyimo Issa N, Mpingwa Monica W Takken Willem, Russell Tanya L: Anopheline and Culicine mosquitoes are not repelled by surfaces treated with the entomopathogenic fungi Metarhizium anisopliae and Beauveria bassiana. Parasites & Vectors 2010, 3:80. Mnyone Ladslaus L, Kirby Mathew J, Lwetoijera Dickson W, Mpingwa Monica W, Simfukwe Emmanuel T, Knols Bart GJ, Takken Willem, Russell Tanya L: Tools for delivering entomopathogenic fungi to malaria mosquitoes: effects of delivery surfaces on fungal efficacy and persistence. Malaria Journal 2010, 9: 246. Luz C, Mnyone Ladslaus L, Sangusangu R., Lyimo Issa N, Rocha LFN, Humber Richard A, Russell Tanya L: A new resting trap to sample fungus-infected mosquitoes, and the pathogenicity of Lecanicillium muscarium to culicid adults. Acta Tropica 2010, 116: 105-107. Lwetoijera Dickson W, Mnyone Ladslaus L, Sumaye Robert D, Russell Tanya L, Okumu Fredros O: An extra domiciliary method for delivering entomopathogenic fungi against wild malaria vectors. Parasites & vectors 2010, 3: 18. Mazigo Humphrey D, Obasy E, Mauka W, Manyiri P, Zinga M, Kweka Eliningaya J, Mnyone Ladslaus L, Heukelbach J: Knowledge, attitudes, and practices about malaria and its control in rural northwest Tanzania. Malaria Research and Treatment 2010, doi:10.4061/2010/794261. Mnyone Ladslaus L, Russell Tanya L, Lyimo Issa N, Lwetoijera Dickson W, Kirby Matthew J, Luz C: First report of Metarhizium anisopliae IP 46 pathogenicity in adult Anopheles gambiae s.s. and An. arabiensis (Diptera; Culicidae). Parasites & vectors, 2009, 2: 59. Mnyone Ladslaus L, Kirby Matthew J, Lwetoijera Dickson W, Mpingwa Monika W, Knols Bart GJ, Takken W, Russell Tanya L: Infection of the malaria mosquito, Anopheles gambiae s.s., with two species of entomopathogenic fungi: effects of concentration, co-formulation, exposure time and persistence. Malaria Journal 2009, 8: 309. 2.Mr. Godfrey Katusi (MSc), 2018 – 2020. 3.Miss Stella T. Kessy (MSc),2017.